By now we know that Microsoft loves Linux. They (the team) said it out loud… and now we all feel better. Microsoft has now launched new features on its Azure cloud platform to show what it hopes will manifest itself as even more love. The firm has already laid down a well-documented partnership with Red Hat… and so now adds Red Hat Enterprise Linux versions 6.7 and 7.2 to the Azure Marketplace. Microsoft says that today, more than 60 percent of its Azure images are Linux-based. Director of programme management at Microsoft Azure Corey Sanders says that using these instances, customers of Red Hat and Microsoft will now be able to rapidly and seamlessly deploy instances for on-demand workloads, dev-test, and cloud bursting. “Since we announced our partnership in November, we’ve seen strong interest and momentum from our customers looking to bring their Red Hat investments to Azure. 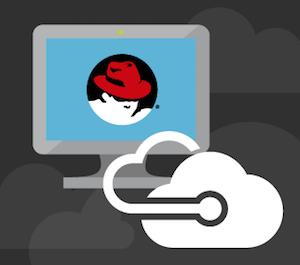 We offer the best enterprise-grade support of the public cloud, by offering a fully integrated support experience with co-located Red Hat and Microsoft support engineers sitting side-by-side to help you when you need it,” said Sanders.